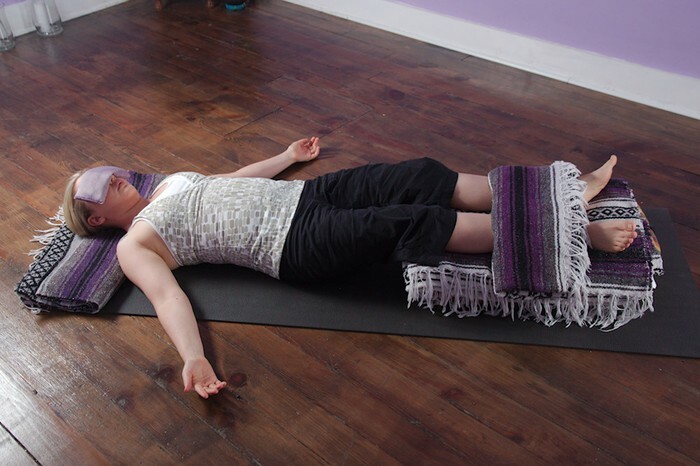 Yoga Garden is pleased to announce our Restorative Yoga Teacher Training Program! Open to all current teachers who want to formalize their study of and concentration in Restorative Yoga by providing their student base with a program to relax, restore & renew! Outlined below is basic information regarding the program which will certify graduates with a Yoga Garden Restorative Teacher Training Certificate which includes 16 hours of CEUs. Graduating RYT's will receive a Yoga Garden Restorative Teacher Training Certificate. Others will receive a Certificate of Completion. Special consideration may be given to serious students wanting to expand upon their knowledge for personal practice. Please send special consideration request to info@yogagardennc.com. Cancellation Policy: $50 cancellation fee if cancelled up to 8 days prior to first date of training. Non-refundable if cancelled within 7 days prior to the first date of training unless a replacement is found. Required Reading before the training weekend: Relax & Renew by Judith Lasater. Melissa has been practicing yoga for over ten years. In 2008 she was inspired to deepen her practice through Yoga Garden’s Live Your Yoga Teacher Training. Melissa’s mission is to provide students with opportunities to discover new possibilities and transform themselves spiritually, mentally, and physically through the science of yoga. Melissa’s classes come from a place of patience, love, and joy. She offers her students creative and well-rounded classes. By cultivating a supportive class environment, she encourages students to be true to themselves, acknowledge and honor the teacher within, and tap into that deep awareness that ultimately leads to self-realization. Melissa has a special interest in restorative yoga, and holds a certification in this specialty area from the NC School of Yoga. Additionally she has had the privilege to study with several master teachers including, Dharma Richards, Sri Dharma Mittra (Classical Hatha Raja Yoga) and Judith Hanson Lasater (Restorative Yoga).